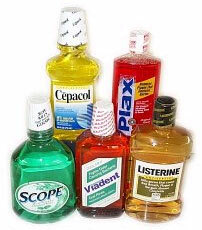 At NYC Smile Design we have never been big proponents of over the counter mouthwashes since they contain alcohol as their main ingredient. Black hole disease refers to the little spaces that appear between your teeth and gum exposing the root surfaces to decay. This problem appears in your gum tissue as a black hole, looking as if a poppy seed is stuck between your teeth. Like many things that start small, the black space can grow larger with time. Sometimes we see this problem after orthodontic treatment. The teeth are aligned nicely but, due to the anatomy of the teeth (they can be triangular or bulbous), a space exists above where the teeth contact one another, leaving a black hole instead of healthy pink gums.